The last constructions that were belonged mainly to the Crimean Tatars has been demolished in Ai-Petri. On June 29 in Ai-Petri Mounting, Kremlin-controlled Crimean authorities demolished the last buildings, which were recognized as illegal. 43 objects – cafes, boutiques and hotels – has been liquidated. The buildings belonged mainly to the Crimean Tatars, the indigenous inhabitants of the peninsula. The self-proclaimed "Head" of the Crimea Sergei Aksyonov boasted with results of work in Facebook. He argues that the owners agreed voluntarily on destruction the property accumulated for years under by bulldozer. 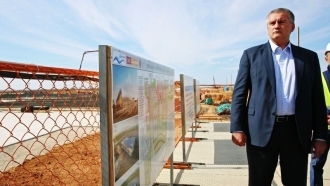 According to Aksyonov the construction of the observation platform will begin again from July 1 on the site. 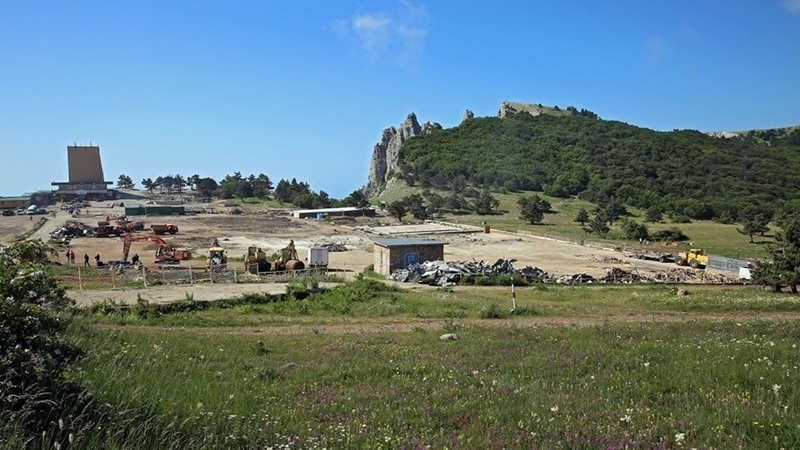 However, representatives of the opposition in the Crimea are convinced that "authorities" will not do this for tourists and plan to build a large shopping center or a casino on the mountain. They also intend to construct elite cottages on the site of the ski base. "The State Duma Deputy from the Crimea" Ruslan Balbek earlier said that after the dismantling of trading platforms, "the turn of the elite town would come." Now Balbek argues that these plans, proposed to the "authorities", belong to one the developers, Crimea-News reports. In addition, the occupation authorities persuade that entrepreneurs have got sites in exchange to continue their operation in Bakhchysarai and Simeiz.